SKECHERS USA, Inc. today announced that the Company’s second commercial airing Super Bowl weekend will feature two of the greatest 49ers players to ever grace the gridiron: Hall of Fame quarterback Joe Montana and Hall of Fame safety Ronnie Lott. Premiering Saturday, February 2 on ESPN2’s College All-Star Challenge, and again on Super Bowl Sunday with an abbreviated spot during the second quarter, the Skechers Relaxed Fit commercial uses humor to showcase how Montana stays cool under pressure wearing Relaxed Fit footwear. 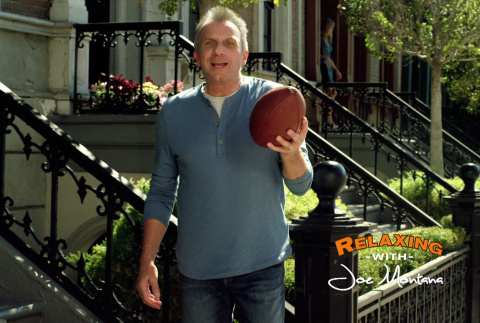 Launching the day before the San Francisco 49ers take on the Baltimore Ravens in Super Bowl XLVII, the new commercial will reunite the legendary Hall of Famers on-screen in a humorous spot that highlights Relaxed Fit’s memory foam footbed, roomier fit and instant comfort. The new spot is the latest in a series of Relaxed Fit ads that star America’s sports icons; previous commercials have featured Montana, legendary Hall of Fame Los Angeles Dodgers Manager Tommy Lasorda, and Dallas Mavericks owner Mark Cuban. A natural extension of relaxed fit jeans, Relaxed Fit footwear has become one of SKECHERS‘ most successful men’s footwear collections and will soon expand into women’s footwear. SKECHERS will also debut a commercial during the second quarter of Sunday’s Super Bowl for the Company’s new performance running shoes, Skechers GOrun 2.